Below are marketing campaigns developed for some of our clients. Click to learn more about what was involved in each campaign. As part of their campaign to find a new doctor to join their organization, Sierra Doctors wanted to feature simple printed items, enhanced with a multi-media presentation. 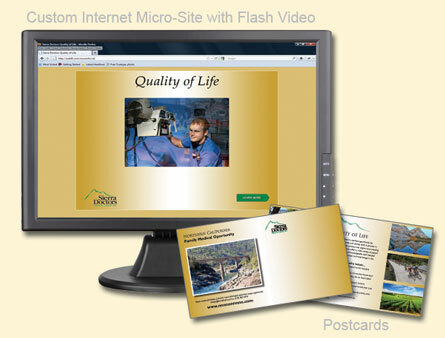 A simple QR Code and web link directs the viewer to a micro-site landing page containing a high quality Flash video which shows what Sierra Doctors has to offer. An additional page on the micro-site provided detail of the position, and links to more information and resources.